Another piece of Murakami's work that expressed his love for music - named after The Beatles' song Norwegian Wood (This Bird Has Flown). This book had been labeled as a mere "love story" by his fans when it was released on 1987 in Japan. Though the public had their reason for saying so - for they found this book is not as bizarrely surreal as his previously acclaimed books, A Wild Sheep Chase or Hard-Boiled Wonderland and the End of the World - this book had marked Murakami's breakthrough into the popular world. Toru, a quiet and preternaturally serious young college student in Tokyo, is devoted to Naoko, a beautiful and introspective young woman, but their mutual passion is marked by the tragic death of their best friend years before. Toru begins to adapt to campus life and the loneliness and isolation he faces there, but Naoko finds the pressures and responsibilities of life unbearable. As she retreats further into her own world, Toru finds himself reaching out to others and drawn to a fiercely independent and sexually liberated young woman. 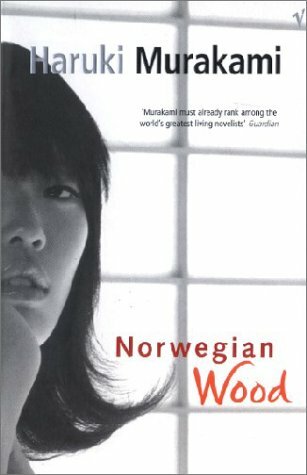 A poignant story of one college student's romantic coming-of-age, Norwegian Wood takes us to that distant place of a young man's first, hopeless, and heroic love (as quoted from Murakami's site). In essence it is, indeed, a love story, but not an ordinary one. It is "Murakami's love story", in which we would find his unique choice of characters, each with complexity of their own, connected by unexpected warped string of events. It is a love story colored with pain, hope and tragedy captivatingly narrated. "The more the memories of Naoko inside me fade, the more deeply I am able to understand her. I know, too, why she asked me not to forget her. Naoko herself knew, of course. She knew that my memories of her would fade. Which is precisely why she begged me never to forget her, to remember that she had existed. The thought fills me with an almost unbearable sorrow. Because Naoko never loved me." It was 37 years old Toru - upon hearing the faint melody of Beatles' Norwegian Wood - brought us with him through his memory lane to one summer in a meadow some 18 years ago, where he introduced us to Naoko, to her troubled mind, and to the liberal mind of young Midori. As we read on and engage closer with the characters, we would see how one decision made or one act done could change another person's life forever, how some pains are beyond repair, how one afflicted young soul could damaged another soul, and what love has got to do with all of it. Let's hope that these characters would live as impressively on the screen. Sneak-peeking the casts - only from the casts' wise - I am quite optimistic about it. The movie adaptation of the novel directed by Tran Anh Hung will be released in December 2010 in Japan, starring Rinko Kikuchi Babel (2006) as Naoko and Kenichi Matsuyama as Toru. The movie is already in the Competition List of Venice Film Festival 2010. It would be hard to bring the movie to satisfy Mukarami's fans, though, because it is more about what happened inside than of what appear on the surface.